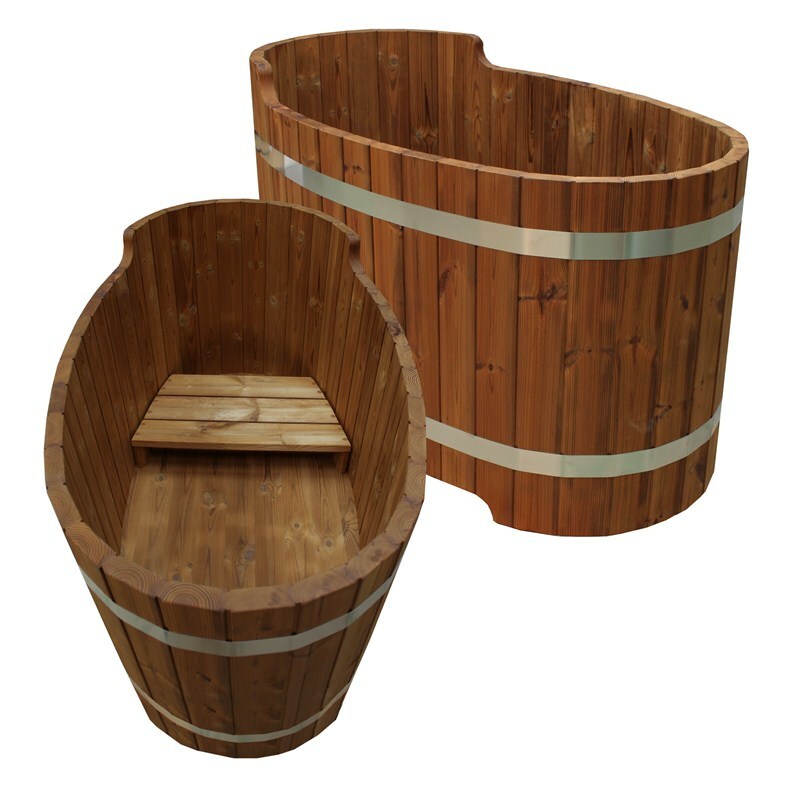 Oval hot tub with 1 bench, drainage hose, water level 20 cm from edge, about 280 liters. Outer measurements: length 133cm, width 70cm, height 60/68cm. Made from heat treated pine (LunaWood). Also available with coated inner surface, LED lighting, etc.